Choose the right agent that will help find your dream home. 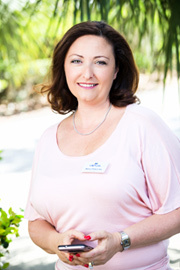 Our broker, Alina Pekarsky is a Premier Agent with over 2 decades of knowledge and experience. Alinas’ passion in Real Estate has become her calling to help others find that perfect home. Virtual Homes Realty is dedicated to help you sell, buy, rent or invest. Putting your home on the market is a big step. After all, your home likely represents the bulk of your net worth. The price of your home should be based on comparable homes in the area, but there are many other factors that must be taken into consideration including the home`s condition, cost, location, and much more. Our broker, Alina Pekarsky is a Premier Agent with over 2 decades of knowledge and experience. Which is a huge positive! Premier Agent consist of; access to the MLS, Zillow with the top listings seen first, where they can list your home along with photos, local data, virtual tours (will literally allow the buyer to go from room to room, viewing the home at a 360-degree view), marketing, social media and most all of which have been shown to attract more potential buyers.